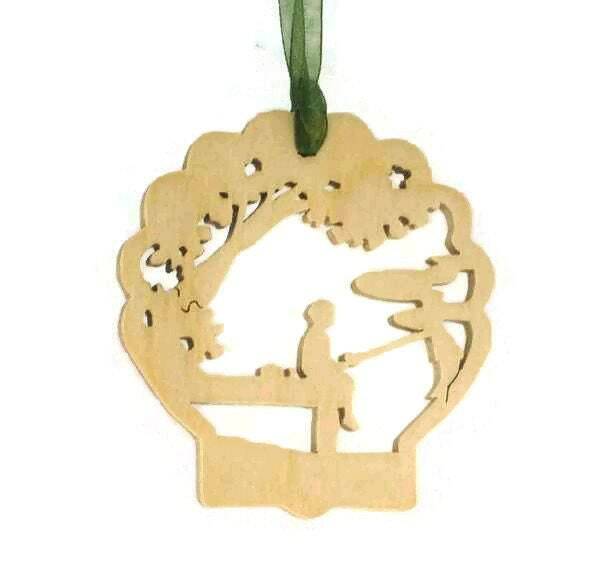 Celebrate Christmas with this fishing off the dock fishing scene Christmas tree ornament. 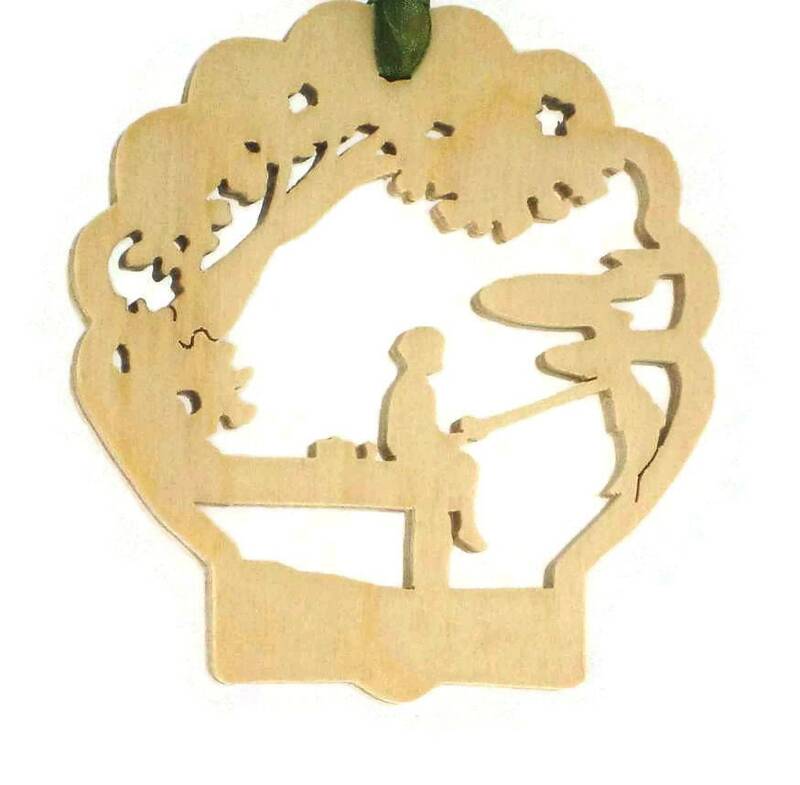 This fishing off the dock ornament was handmade from birch plywood using a scroll saw. 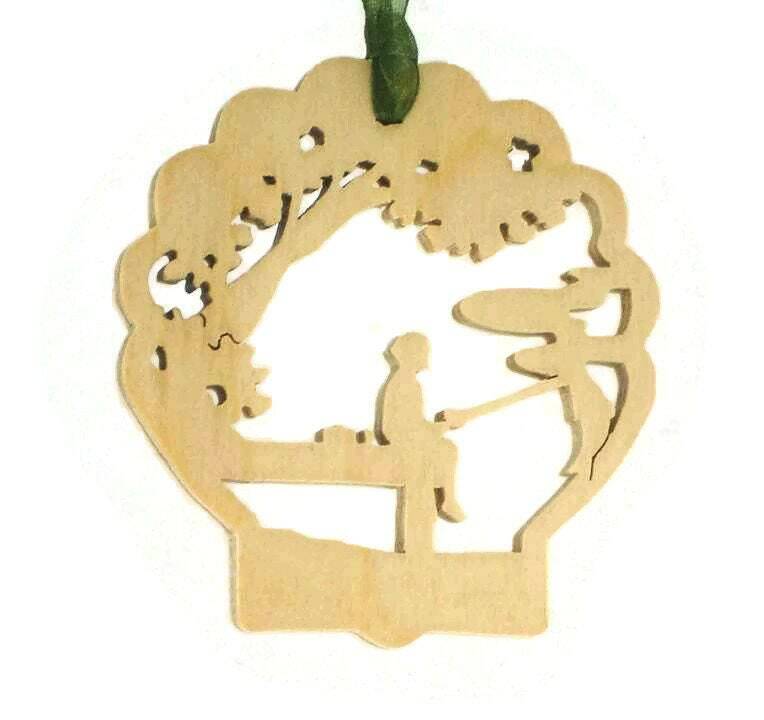 This dock fishing ornament features a scene of a person catching a fish while sitting under a shade tree on the dock with their feet dangling off the edge of the dock. A fabric ribbon ( various colors ) was added for ease of hanging this on your Christmas tree. 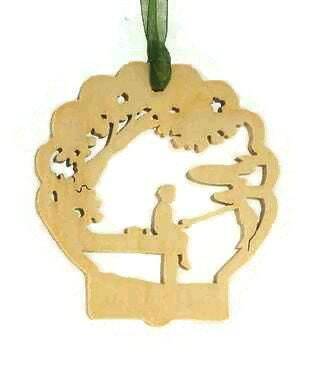 This ornament was cut out by hand using a scroll saw. 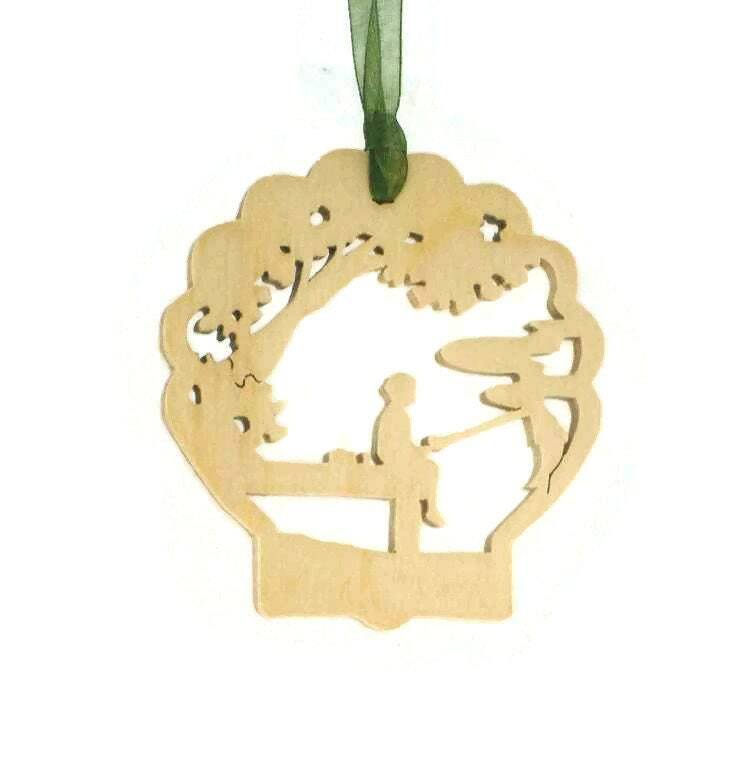 Ornament measures approximately 4 inch in diameter and is made from 1/4 inch thick birch plywood. A natural colored Danish oil finish was applied to this to bring out the natural beauty of the wood grain as well as to protect its natural beauty for many years of enjoyment.